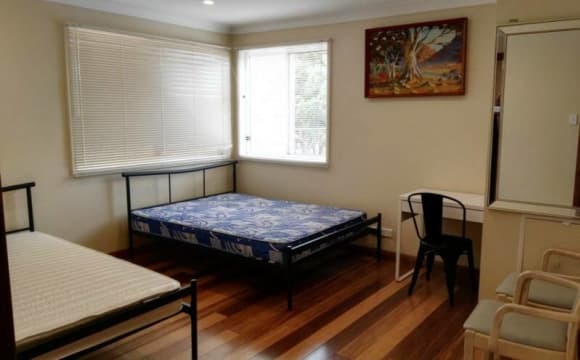 This specious master bedroom with lots of storage (build in wardrobe) is available from Wednesday 1st May in a clean and tidy fully furnished apartment in the heart of Bondi Junction. This bright, airy and clean apartment is located in a perfect location only a few minutes short walk to Bondi Junction train and bus Station and very close to the best Sydney beaches Bondi, Bronte, Tamarama, Clovelly etc only 4 minutes walk to Westfield Shopping Centre. This is a very quiet unit, building and street. Warm and clean fully tiled floor throughout the entire apartment (makes it healthy and easy to clean). The room is fully furnished and has a very comfortable queen size bed. The room is suitable for a tidy and quiet professional (or a couple). Two single beds can be arranged if needed (eg for 2 friends, 2 sisters or 2 brothers). The apartment will be shared with only 3 others friendly, busy working and happy professionals who share a separate bathroom. There are two large balconies in this apartment with an open ocean view from every window and both balconies.The first to see will want this room so be quick to arrange an inspection. My photos do not do the justice to this amazing apartment with an excellent floor plan. ALL BILLS INCLUDED, fast unlimited NBN WiFi is included too. At $480 per week (bills included) it is a bargain. Strictly no smoking. 3 weeks fully refundable security deposit required. Minimum stay 2 months. Please contact me to arrange an inspection today. Internal laundry, large built in wardrobe, great views. Beautiful, spacious renovated townhouse in the Bondi Junction area. The room is spacious, cosy, sunny, furnished with a double size bed and a very large built in closet . In addition, it has it own private balcony!! 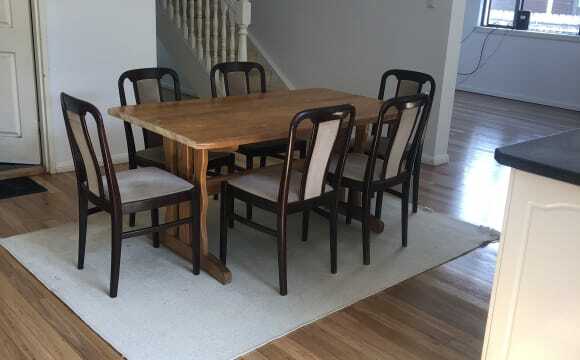 5 mins walk to the Bondi junction train station,buses and the Bondi Junction shopping center. Coles, Woolworths and Aldi are all around the corner. Multiple gyms including Fitness first and Anytime fitness less than 5 min walk around Taking the train, you are in Sydney CBD in 15 mins. Taking the bus, you are in 15 mins at Bondi, Bronte, or Tamarama Beach. Or walk down to the beaches in 25 mins. It’s a spacious and very modern top floor apartment which overlooks a garden. Perfect location in Bondi Junction, 5 mins walk to the station and 2 minutes to Westfield shopping centre but tucked away on a quiet street. The apartment is fully furnished with modern furniture and appliances- air conditioning, dishwasher, smart tv, Alexa, Netflix etc. The room is also fully furnished, has a double bed &amp; built in wardrobes with lots of storage. You also have a private bathroom with a bath. There is a nice dining and living area, a large balcony with BBQ, that overlooks the garden. It's hard to believe your in Bondi Junction as it's very peaceful. Bondi beach is a 20 minutes walk (10 on bus) and it's 15 mins on the train to the city, so you get the best of both worlds. There are also numerous cafe's, parks, shops, gyms close by. Price is $450 for single and $500 for a couple with all bills included. Lovely sunny apartment tucked perfectly behind the hub of Bondi Junction. Quiet neighbours, secure building, and only moments to the Bondi Junction train station and loads of buses. Northerly aspect, mid rise apartment but set on a slope so a great view over Woollahra and across to glimpses of the harbour. The living areas are spacious but cosy and there is lots of natural light. The place has obviously been well looked after. I have just landed the lease for this place and am looking for a friendly, caring, trustworthy, genuine and fun fellow human to join me. I want someone who keeps their home space tidy and clean and inviting, who is sociable and active and sees home as a haven. I am in the process of organising the main furnishings but potentially welcome any additions from yourself if they work well! I also have a spare good quality wooden queen bed frame you can have if desired. Home features Air-conditioning, heating, Internet, dishwasher, washing machine, storage cupboard, balcony, residential gardens, city and neighbourhood views, glimpses of harbour / water view, electronic security, lifts, swimming pool, at the moment there is only off street parking as I am using the one car space but I have seen several notices from other tenants looking to rent out a spare space, also I may sell my car in the near future. Bills and expenses Electricity, gas, internet (Connection in process already with iiNet), ..... no cleaner, I want to live with someone who is happy to do their own housework regularly and contribute to general household cleaning / kitchen products. Hello flatmates. Unfortunately our lovely flatmate is moving overseas for a great job opportunity and we are currently looking for a cool, friendly and tidy girl to come and join us in our 3 bedroom apartment in Bondi Junction. The house has amazing natural light, modern bathroom and kitchen and a massive balcony. You will be sharing the bathroom with only one other girl. There are no car spots, however you can keep your bicycle in the garage, if needed. We are 2 guys (couple) and one girl who are all working full time and enjoy to go out weekends and have dinner together as a family during the week. We have Netflix in the lounge room, and the room comes furnished however it could come unfurnished as well if needed. THE ROOM IS AVAILABLE FROM MONDAY THE 6th OF MAY. The propety is super clean, with a cool and renovated ambient, we want to keep it like a place to call home, with a good vibe. its 5 blocks from the Train Station and 15 minutes walk to the beach, westfield shopping 2 blocks, easy location. Twin female share, 5 mins to Train, 20 min to beach, 8 mins CITY, student price, twin share, Outdoor GARDEN FRONT and REAR, for suntan. females. room has curtain beds. No Bunk beds ! No sleep in living room. No Smokers . Edgecliff road, Woollahra. 2 bed now. room on ground floor $180 front garden, and 1 bed on upper level $210, separated rooms.. upper level rear garden. Females only live in house. WiFi, washing, Large TV. Quiet. we give you sheets and towel. Young females in house. large double room for two females on upper level faces rear garden, two other rooms on lower level. Single room $280. 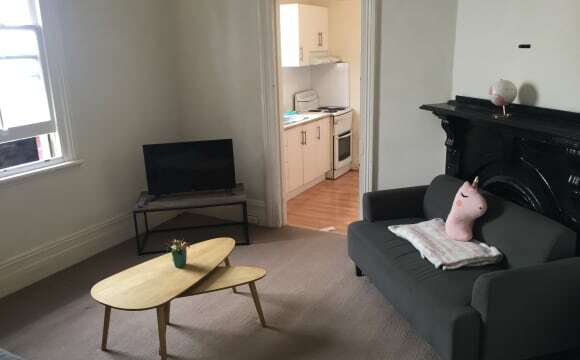 it is furnished , large house on 3 levels, each one gets a bed wardrobe, table chair light, etc, garden front and rear, large Panasonic TV sub titles , WIFI, large outdoor area with BBQ, washing machine. suit student . Dry clothes in garden. has dim able lights and 4 x 2 power points, . if you live away from Station in Bondi beach, can take a long time to get bus from Bondi Beach to train. 20 mins walk downhill to Bondi Beach. FREE WiFI internet very fast NBN , 5 G room is a large room with two single beds. approx 4.1 m x 3. 9 m . there is curtain in centre of room. separate tables for each person. Different from pics. We recently moved into this beautiful 3 bedroom terrace in Bondi Junction. While the room is small in size the home offers a large dining, kitchen, living and outdoor entertainment area. The third bedroom is smaller, however has great built ins and wooden floors. If you are interested in the room please feel free to send me a message with a bit about yourself. Cheers! The apartment is super nice and luminous! It has 3 bedrooms. Maximum 5 people living in the apartment at the same time. This room has its own bathroom. There is a very large built-in wardrobe and a dresser. At the moment it has two separate beds but a queen bed can be arranged for a couple. I think it's perfect for commuters because it is 2 blocks away from the Westfield and the train/main bus stations. Plus 5 minutes on the bus to Bondi Beach. The kitchen is very spacious and there is a very nice balcony with ocean views with a large table. We are looking for 1 flatmates to share a large room in our beautiful house located in Bondi Junction. Room is for a total of two people so you will share it with another guy. -Brand new renovated bedrooms -Super clean and quiet -4 bedrooms 2 bathrooms -Fully furnished. -Family room with LCD TV. -Washing machine and dryer included. 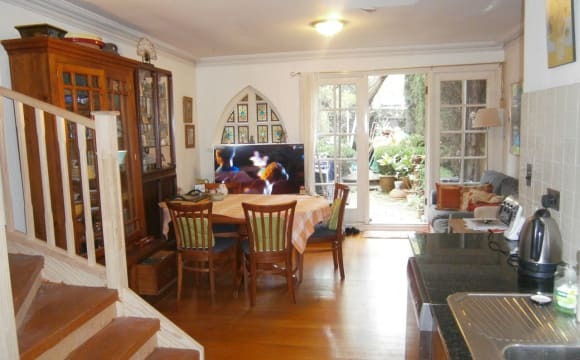 -Close to transport, Westfield and Bondi beach. -Minimum stay 3 months, Call/txt now to arrange an appointment. Hey guys! There are 2 beds available in our 3 bedroom house. It has very spacious spots and a wonderful backyard where we love chilling. The house and the room are fully furnished. It is just 1 block from Bondi Junction Station and across the road are East Gate Shopping, Coles, Aldi, Kmart, etc. Literally just across the road! Also 150 steps from Liquorland, yes, we do steps! Looking for easy going, friendly, professional male/female to share a large brand new townhouse with friendly, down to earth, easy going professionals (age 30 - 40yrs)...There is lots of living space and your own privacy when needed. You will have your own private bathroom, there are 3 bathrooms in the townhouse. Your room is fully furnished with a large study desk and lots of light. 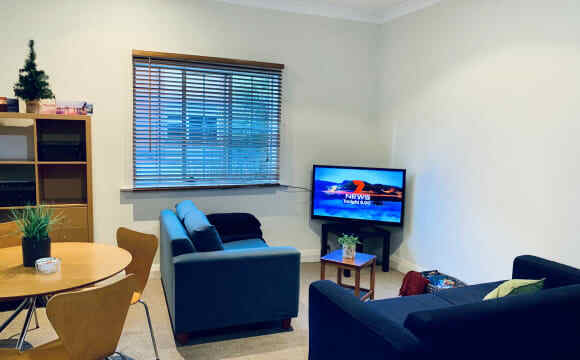 The location is very convenient, a 10 min walk to Bondi Junction train station (which is 8 min train ride into Sydney CBD - Townhall or Martin Place) and 6mins to Westfield shopping center and 5 min walk to Eastgate shopping center with Coles, Aldi for your food necessities and 5 min walk to Centennial park "awarded the best park in the world" 10min walk to Tamarama beach or 15mins to the famous Bondi Beach; You are central to everything you need and will be sharing a modern townhouse with a cool bunch of like minded flatmates... Brand new townhouse includes; - Daikin Air conditioning - Filtered water - Security alarm - Miele appliances - parking permit available We look forward to hearing from you soon! Spacious and modern renovated 2 bedroom apartment right in the heart of Bondi Junction. Living/dining room leading onto a massive wrap around balcony. Nothing more to pay (all Bills included): Modern kitchen with gas stove, dishwasher, double oven with grill, microwave oven, plus plenty of plates and cutlery. Internal laundry room with washing machine and dryer. Unlimited super fast WiFi NBN internet included. 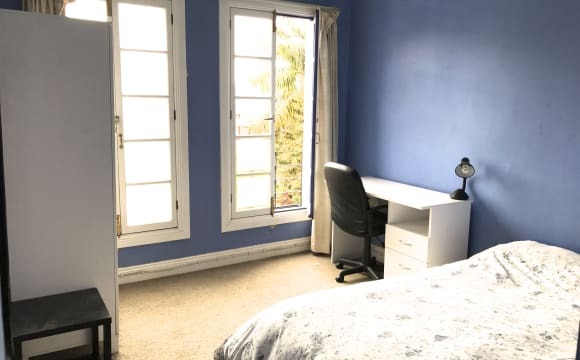 Own HUGE master bedroom (can fit a study desk!) with queen size bed, build-ins and en-suite bathroom! Share the apartment with only one professional person working full-time in CBD Mon-Fri 9-5 and busy on weekends. Options for the room: Furnished, partly furnished or unfurnished. The complex includes: high security building/floor access + video intercom; secure lift access, large indoor heated pool, 2 spas, sauna, gym, squash court and an on-site 24 hour security concierge. Lock-up Garage is available at additional cost (inside the building) 3 min from Westfield, 5 min from trains/buses, 10 Min to Bondi Beach!!! 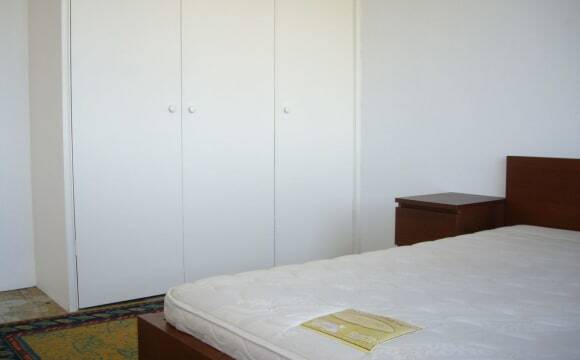 The room is immaculate, with a large built in wardrobe with mirrors. The room is large and has its own modern bathroom/ en-suite .The door from the this bedroom leads into a massive balcony with Gas BBQ. 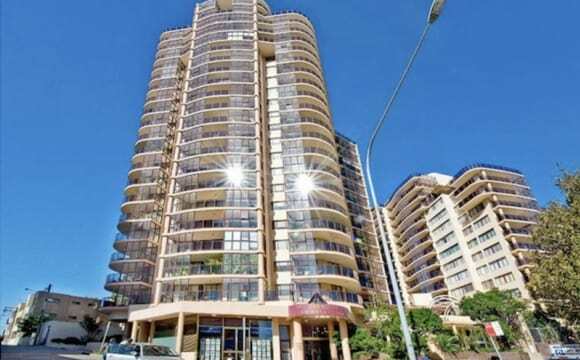 It's located very close to Bondi Junction in Bondi Rd, close to restaurants, shopping center, bus stop in front of the building to CBD and a short ride or walk to the beach. To be honest, one of the best locations in the area. The apartment is nice and cozy, quiet despite being in a main road as it's in the back, very clean and homie. Only 2-3min walk to the Bondi Junction station. East gate shopping center is just across the street. 3min to Westfield and all the cafes and restaurant around. The unit is all newly painted and new carpet. Unlimited internet and you will have your own bathroom. All the bills included. Large bedroom with French doors opening out onto two Juliet balconies in a peaceful house, sharing with two others. For one person only - sorry no couples. Available now - fully furnished and linen can be supplied. Rent covers all bills. Four weeks bond. This is a lovely house in a great location. It is a short walk from Bondi Junction station, Westfield etc shops, Centennial Park and Fox Studios. It's also very near the city beaches. Excellent public transport to the CBD. Amenities include new gas⁄electric kitchen, sunny backyard / garden, separate laundry, shower, huge bath. Ideal for a tidy non-smoker seeking for a quiet home with character. No party animals please. Minimum stay 1 months. Furnished or unfurnished - your choice.